Arseit – Onepage Creative Bootstrap, This template is great for company profile and portfolio, easy to edit, and we use css import for easier style management. 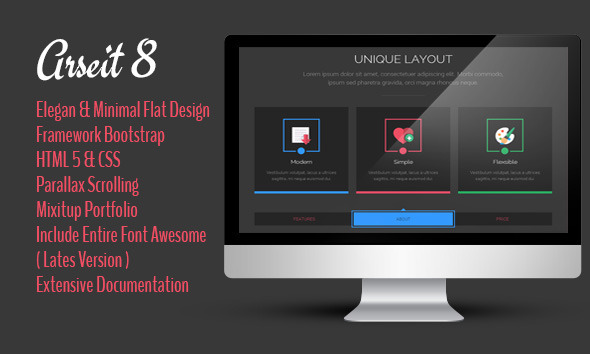 Powered with Bootstrap framework, designed with HTML5 and CSS3 technology. Images from are not included for download.